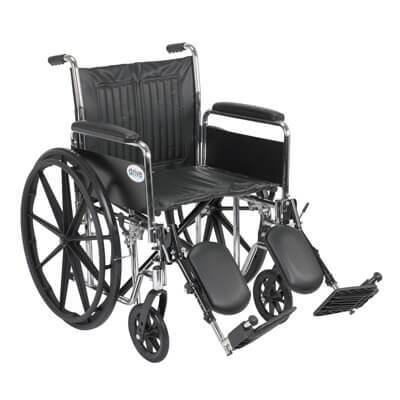 The 20" Chrome Sport Wheelchair with Detachable Full Arms and Swing Away Elevating Leg rests by Drive Medical comes in an attractive, scratch resistant, durable, low maintenance chrome finish. 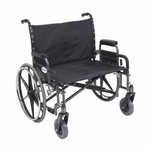 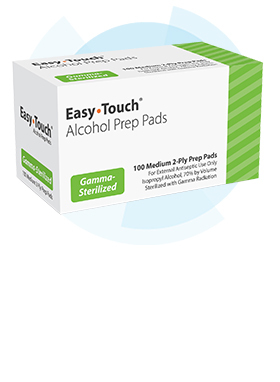 The embossed vinyl upholstery is durable, lightweight, attractive and easy to clean and the urethane tires are mounted on composite wheels that are low maintenance and provide a smooth ride over most surfaces. 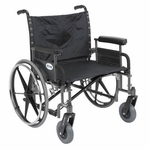 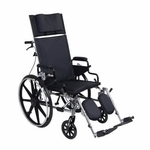 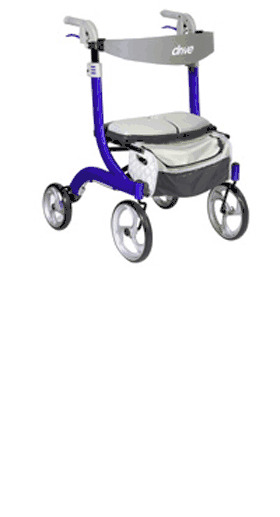 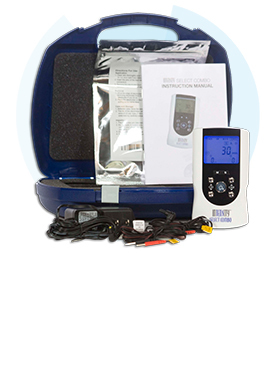 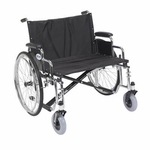 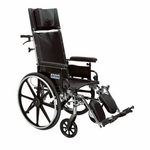 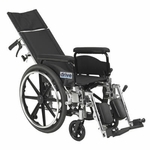 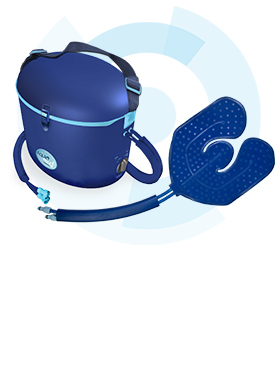 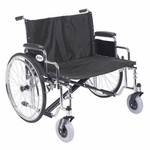 Comes standard with, padded detachable full arms, swing away elevating leg rests, plastic footplates, heel loops, 8" front casters and push to lock brakes ensuring users safety, security and comfort.